In case you are aiming to create a trustworthy online presence for your brand or project, you should have an SSL. 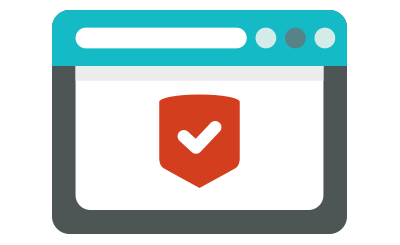 The importance of SSLs as a major security asset has grown so much that Google has stated its intent to make SSL Certificates a bigger priority in search rankings. That is why, an SSL Certificate is highly recommended for your website. On our site, you can obtain both standard and Wildcard Certificates at a reasonable price. Each Certificate has rock-solid file encryption and a no cost re-issue. A 30-day money-back warranty is included too, so you'll be able to test our SSL services at no risk. It would take all the money on earth to build a machine that can effectively crack 256-bit encryption. Literally. Due to the 30-day MBG, you can try out our SSLs and request a full refund if dissatisfied. In case you need help with our SSL services, contact our support team. It is available to you 24x7x365.